Technological Innovation | Keep Baltimore Inexplicable! When it comes to achievement in technological innovation, Baltimore is second to none among American cities! For instance the first electric refrigerator,the first metal bottle cap, and the first automatic elevator were all invented in Baltimore! 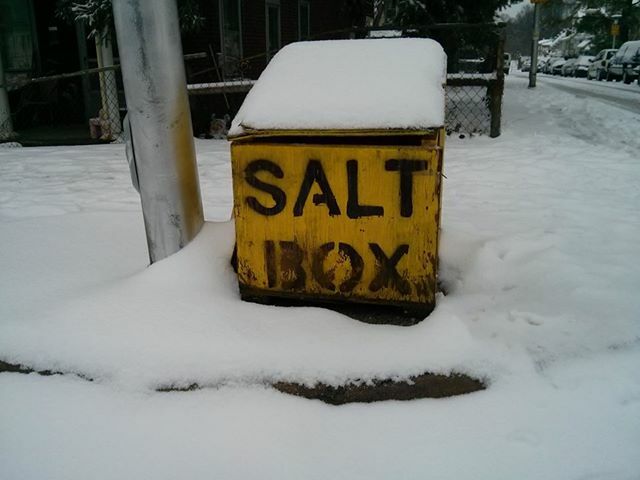 However, other aspects of city life are so traditionalist, they could justifiably be called “retrograde.” None more so than the city’s snow removal system, which is based on the neighborhood salt box, such as this one outside the KBI headquarters.